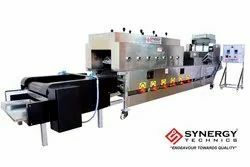 Prominent & Leading Manufacturer from Ahmedabad, we offer chapati making machine, fully automatic chapati making machine, semi automatic roti making machine, semi automatic chapati making machine, industrial chapati making machine and automatic chapati making machine. LPG Pressure 5 to 7 P.S.I. 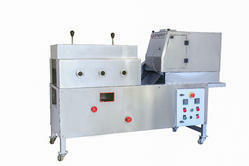 We hold expertise in offering our valued customers with an extensive assortment of Chapati Making Machine. We manufactured using the superior quality raw materials, these are also customized in accordance with the specifications mentioned by the customers. Our customers highly appreciate the output products because of the product’s performance and quality. 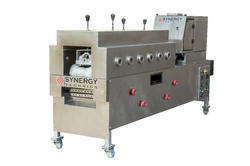 Backed by profound industry experience, we are offering a range of Khakhra Making Machine, Khakhra Roasting Machine, Automatic Chapati Making Machine, Semi Automatic Chapati Making Machine, Puffer Table, Chapati Pressing Machine, Dough Ball Making Machine, Dough Making Machine, Samosa Making Machine, Panipuri Making machine. We manufactured using the excellent quality raw material, all our products are extensively used for making Khakhra, Panipuri, Chapati(Roti), Samosa. The products we offer are extensively acclaimed in the market for their features like low maintenance cost and easy installation. Moreover, for meeting the specific needs of the individual clients, we can also provide a custom-built version of machines. Capacity 500 Nos/Hr. 1000 Nos/Hr. 2000 Nos/Hr. Size of Chapati ø 4.5" to ø 6.5" ø 4.5" to ø 6.5" ø 4.5" to ø 6.5"
LPG Pressure 5 to 7 P.S.I. 5 to 7 P.S.I. 7 to 10 P.S.I. Elec. Consumption 1 Kw/Hr. 1.5 Kw/Hr. 2.5 Kw/Hr. 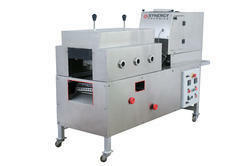 We hold mastery in offering our esteemed clients with a broad collection of Semi Automatic Roti Making Machine. We produced utilizing the unrivaled quality crude materials, these are additionally modified in understanding to the details specified by the clients. 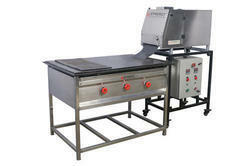 Our clients are very value the yield items as a result of the item's execution and quality. Chapatti Size 4-5", 7-8", 4-5,5-6,6-7,7-8,4 - 5 inch,4-5, 6-7", 5-6"
Chapatti Size 6-7", 7-8", 4-5", 4-5,5-6,6-7,7-8,4-5, 5-6"